Thank you for the lovely mention.. I'm just the same old blogger I was all those years ago! Oh no you're not the same old... you're now the blogger with a fabulous Chanel bag! lucky you, I saw either Fleur or Essie buying the Lorac recently and thought 'yep, bet you can't get it here'! I'm with you. I love blogs, and while I absolutely get the benefit of making money from it and would never tut tut over anyone doing it, I do get a little despondent about it from time to time. Some of my favourite blogs are now nothing more than a shop front, with perhaps a token blog hidden somewhere. And their tweets are all about pushing their products. Again, while I know everyone needs to make money, I feel a little sad when the blogs or sites I loved are so different. But again I have to say. If someone does a sponsored post then it's their business and I don't disapprove. Very glad I found you online. It's very different from our early days isn't it! 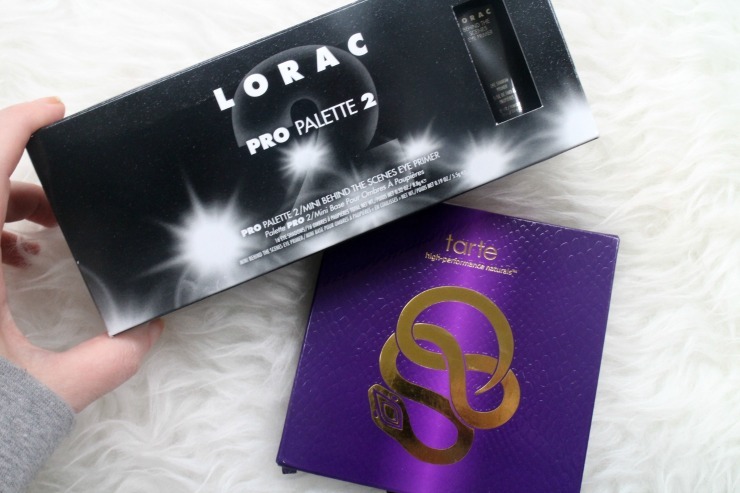 I'm still too busy swooning at the Lorac Pro but the Tarte palette has been firmly inside my make up bag and is perfect for going to work as it covers day to night perfectly. This has so cheered me up! Firstly because yet again a blogger has shown true friendship and selflessness in sending a gift out of the blue and wanting nothing in return, and secondly because my blog is and always will be just a little of what I fancy and do, no agenda and it's great to hear that there are still some folk who want to see and read just that. I too feel it's ok for those that are taking a new path but I love what you do and will keep on reading and enjoying. I love this post so much, Victoria! Although a newbie to the blogging world, this is the type of interaction is what I really like about blogging - having moved to the middle of VT several years ago, blogging makes this city mouse feel connected to the world. Love it!